There are many moving parts to any project, and just coordinating all of the components of a project can be a headache. At Global Sales, we specialize in providing building supplies to Bermuda and the Caribbean, and our mission is to make ordering, shipping and coordination easier and more affordable. We offer many high quality product lines so that our customers don't need to go all over the place to find the items that they need. Need power tools? Our major brands of power tools include DeWalt, Makita and Hilti. Pouring concrete? At Global Sales you can find equipment and materials from Toro, Dayton Superior, MDO and more. Behr paint, Biljax scaffolding- no problem. Drywall? You bet! And don't forget the seam tape, drywall mud and installation tools. From rooftop to foundation, Global Sales can provide the materials and supplies you need for your building project. 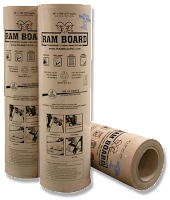 One building product that we like to recommend to both homeowners and professionals is Ram Board. Ram Board is a temporary surface protection system for job sites that can provide major savings on time, money and hassle. Spills, scratches, gouges and dings happen during the course of any building project, and can mean added expense and the loss of valuable time. Ram Board is a cost-effective insurance policy against time consuming and costly repairs. J.B. Warnemunde at Global Sales knows building supplies. He recommends Ram Board surface protection to save time, worry and expense on your next job site. When you work with Global Sales, you will have the advantage of our wide variety of building materials, along with our ability to streamline transactions, and to coordinate and consolidate shipping. 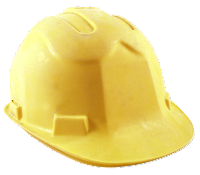 We'll review your plans and source the right building supplies and materials for the job. And, we'll do the legwork and provide you with a detailed quote. Lumber, steel, power tools, drywall, concrete equipment, paint and primer- if it's used in a building project, we are your source. For more information about the great products available at Global Sales, click here to visit our Building Supplies page.